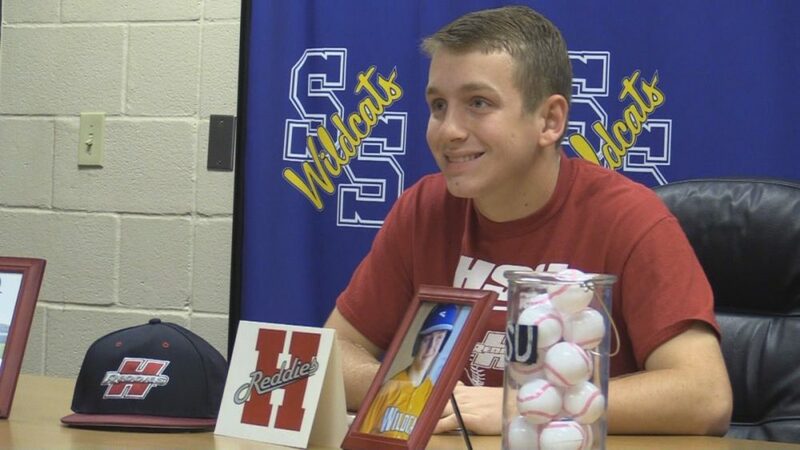 Wildcats senior catcher Kaden Argenbright signed a letter of intent Tuesday (November 27) to play college baseball at Henderson State University in Arkadelphia, Arkansas. The signing took place in the Multipurpose Building before lots of his family and student athlete friends. Argenbright said the Reddies had been watching him this summer and they invited him to a camp this fall. Henderson State promised to keep in touch and a month later invited him to take an official visit. The Reddies made an offer to Argenbright and he said he accepted on the spot. Argenbright called Arkansas a nice place. He said the Reddies have a good baseball program that usually wins about 30 games a season. 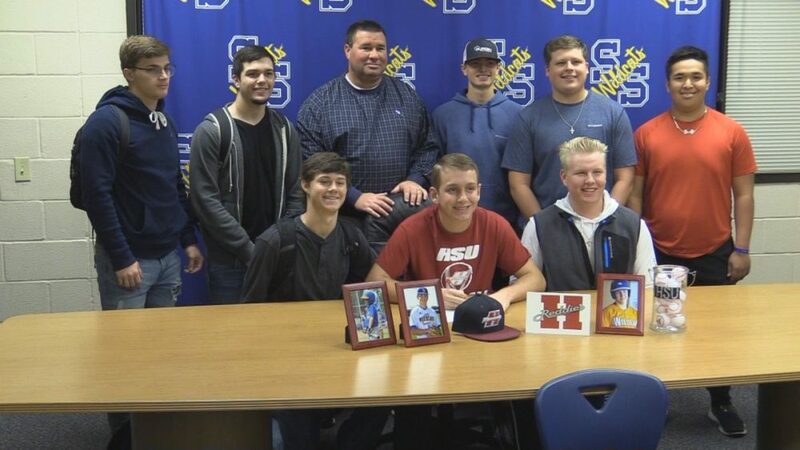 Argenbright said the Reddies plan to have him play second base his first two years of college and then to transition into catcher for his junior and senior year. He said the Reddies’ coaches complimented him for his quick hands and his hitting. Argenbright said he wants to work to get faster and develop more power. He said he expects the speed of the college game to be much greater. Argenbright said he may major in sports management with the goal of becoming a baseball manager. He said playing college ball was one of his goals. Argenbright said he has always loved baseball from t-ball days. He said he has high expectations for the Wildcats’ baseball team this spring. Wildcats Baseball Coach Jerrod Hammack said Argenbright was as good a player as he has had in thirteen years as Wildcats Baseball Coach. Coach Hammack said you can put Argenbright anywhere and he would be good at it. Coach Hammack feels Argenbright is naturally a middle infielder but he adds he has also done well catching for the Wildcats. He called Argenbright vocal, a superior leader and a high character guy. Coach Hammack called him a difference maker.